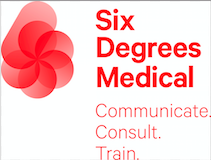 Mednet is a medical communications and digital agency based in Leeds - delivering award-winning campaigns and innovative healthcare solutions to improve outcomes for patients and providers. We work with all healthcare organisations including the life sciences sector, healthcare providers and third sector organisations in global healthcare economies. We operate within healthcare markets providing innovative and bespoke, patient-centered solutions.